This is great news for KapData as we expect this will give us increased access to government contracting opportunities as well as additional opportunities we wouldn’t have been exposed to in the past. 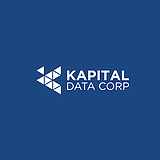 We are so excited to share yet another aspect of Kapital Data that sets us apart from other businesses. 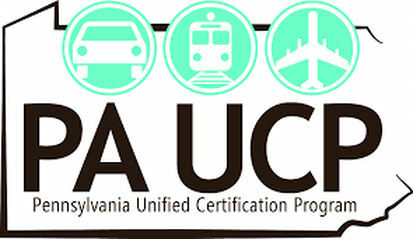 The Pennsylvania Unified Certification Program (PAUCP) operates as a “one-stop shop” for businesses looking to receive a DBE certification. With this certification, businesses can compete for state and federal Department of Transportation (DOT) contracts and projects. 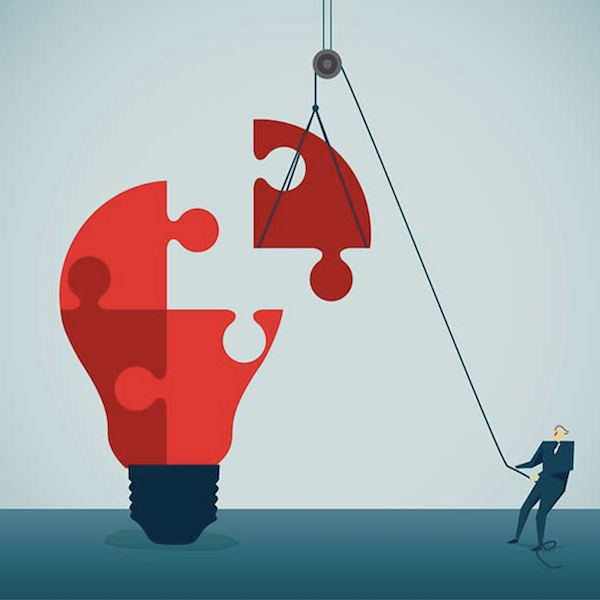 Benefits include greater visibility for large contracts, access to consulting and training resources offered by the PAUCP, and certification recognition by many Business Enterprise programs through the state. To qualify, businesses must be for-profit, at least 51% owned by a qualifying U.S. citizen, and meet financial requirements. 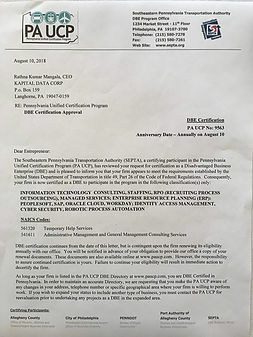 Believe it or not, The State of Pennsylvania’s Department of General Services (PA DGS) does not perform minority business enterprise certification. However, the state recognizes small businesses that have a certification through their Small Diverse Business program. To get recognized, companies must get certified through a third party certification that the agency accepts. So they will accept the DBE certification as a third party certification for their Small Diverse Business Program. Ms. Tiffany King, Senior DBE Program Specialist, explained to us that many agencies set goals to partner or work with businesses on the list. She also informed us that all agencies on the PAUCP.com website work with DBE certified businesses. Kapital Data is eager to work with the Department of Transportation, City of Philadelphia Office of Economic Opportunities, the Pennsylvania Department of General Services, the Pennsylvania Turnpike Commission...and the list goes on. 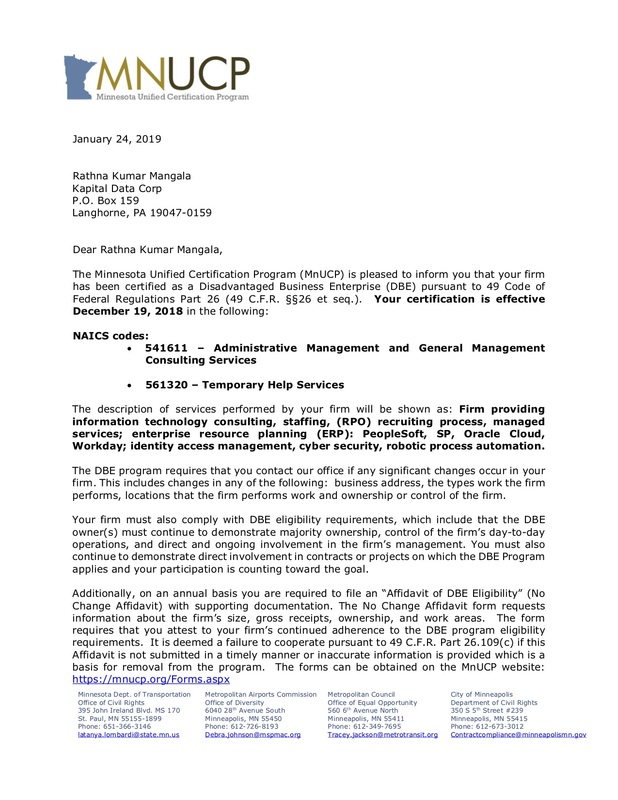 By the way…the process of being approved for the certification was not a walk in the park. The process included an on site interview which lasted a few hours. This is actually when I learned the most about Kapital Data Corp’s formation, Kumar, and his history. 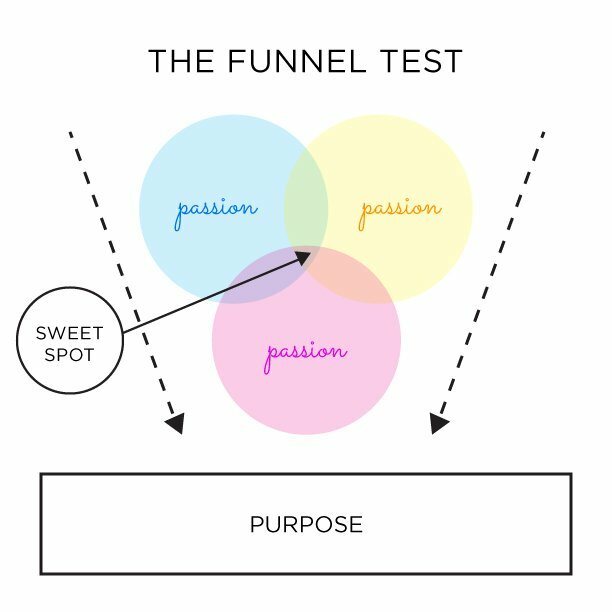 You think starting a business is all fun and games until you see everything that goes into it and how much of your time, energy, and passion you have to put into your business. Although the process was lengthy (over twelve months) and complex, Ms. Tiffany King, Senior DBE Program Specialist, made the process smooth, and more than manageable for us. We are overjoyed to have this certification, and could not have completed it without the support of Ms. Tiffany King. Thank you Ms. King.